Make the space work for you. Every human being needs some space around to be in harmony. And NorthStar Moving and Storage knows it. But sometimes you have a lot of things and they do not allow you breathe freely. Our company will solve that problem. We can store all your things safely until you want them back. The service of NorthStar Moving and Storage is available for everyone. Want to know about house removal cost? We can tell that it is affordable for yo. All your expenses are on you budget. Because you will pay only for the storage space needed for your personal things. The size of such a unit is 5’x7’x8’. So your pay only for units. Isn’t it comfortable? Want to store large items, such as piano, freezer, etc.? It is not a problem at all. Our professional movers and packers will make their best. Your belongings will be packed, wrapped and stored safely. Are you afraid that you can forget what your things are stored in our warehouse? Don’t be. Because pro movers will give the list with all your an itemized inventory. Now you will not lose anything. Our company is able to provide you with all the necessary services. Wrap, protect, box, pack, carry, lift, inventory, drive and move your　belongings into storage. We can do everything. We want you feel comfortable with our service. Do you have a lot of things to do and need to access your storage at a later time? For this purpose we have a unique service. You can calk us to schedule your access. Just make an appointment　for a small charge. Access is $30 per mover　per hour (30 minutes or $15 minimum). 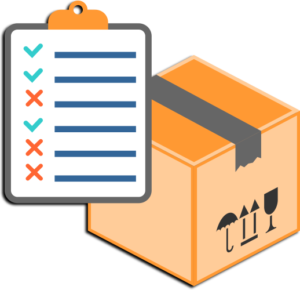 Moreover, you can just ask us to deliver you any of your items from your inventory list. We will do at the time that is comfortable for you.